140 pages | 12 B/W Illus. 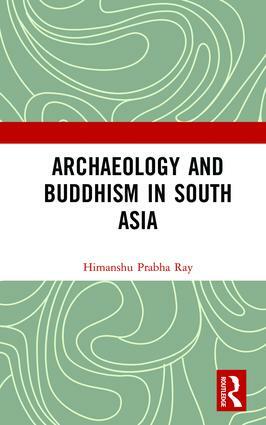 This book traces the archaeological trajectory of the expansion of Buddhism and its regional variations in South Asia. Focusing on the multireligious context of the subcontinent in the first millennium BCE, the volume breaks from conventional studies that pose Buddhism as a counter to the Vedic tradition to understanding the religion more integrally in terms of dhamma (teachings of the Buddha), dāna (practice of cultivating generosity)and the engagement with the written word. The work underlines that relic and image worship were important features in the spread of Buddhism in the region and were instrumental in bringing the monastics and the laity together. Further, the author examines the significance of the histories of monastic complexes (viharas, stupas, caityas) and also religious travel and pilgrimage that provided connections across the subcontinent and the seas. An interdisciplinary study, this book will be of great interest to students and scholars in South Asian studies, religion, especially Buddhist studies, history and archaeology. Himanshu Prabha Ray is affiliated to Ludwig Maximillian University, Munich, Germany, and is recipient of the Anneliese Maier research award of the Humboldt Foundation. She is former Chairperson of the National Monuments Authority, Ministry of Culture, Government of India, and former Professor, Centre for Historical Studies, Jawaharlal Nehru University, New Delhi, India. She is Member of the Governing Board, The Oxford Centre for Hindu Studies. Her recent books include The Archaeology of Sacred Spaces: The Temple in Western India, 2nd Century BCE–8th Century CE (with Susan Verma Mishra, 2017); The Return of the Buddha: Ancient Symbols for a New Nation (2014); and The Archaeology of Seafaring in Ancient South Asia (2003). Among her earlier works are The Winds of Change: Buddhism and the Maritime Links of Early South Asia (1994) and Monastery and Guild: Commerce under the Satavahanas (1986).